1535 Standing Cup. 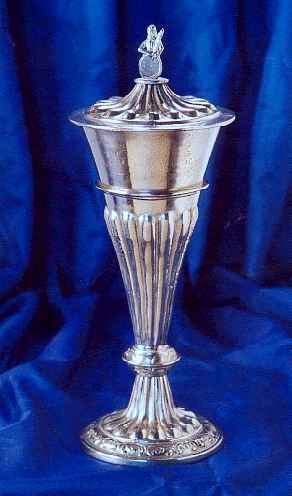 Based on the Boleyn Cup, which is in the collection of Cirencester Church. Extensively decorated, this elegant vessel stands thirteen and a half inches tall and has a capacity of one pint. The cover has the figure of a wildman with a club and a shield.